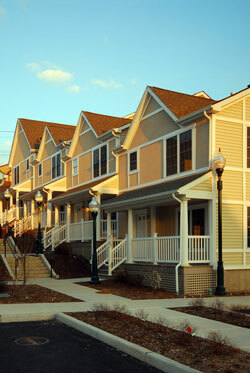 Single family duplex homes created to provide an affordable housing solution for first time home buyers. 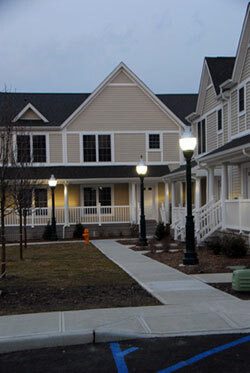 The $10 million development consists of 25 state-of-the-art town homes located in west New Rochelle. The project is Westchester County’s largest affordable housing initiative, made possible by a partnership between the City of New Rochelle and the NDR Group. The development site was declared by the city in an urban renewal area. The public/private joint venture used subsidy layering to make the homes affordable to buyers who were earning up to 80% of median income. Grant sources included Federal HOME Funds, a HUD Special Grant from the City of New Rochelle, Westchester County New Homes Land Act Bonds and Housing Implementation Fund Bonds. In addition, McKinney Act Funds from two senior building refinancing contributed funds to the project. As one of the most needy population groups in terms of cost of shelter, first time home buyers are receiving an opportunity to complete their dream of homeownership. Owner occupied housing will give the neighborhood stability and ensure that it remains vibrant, diverse and inclusive. The new development is visually and physically integrated into the community, with inviting front porches, front and rear yards, landscaped grounds and off-street parking, to retain the character of the existing community. The Town Houses at West Way not only succeed in abating blight and deterioration in the West End Neighborhoods, but also gives its working class residents a fresh feeling of both beauty and success.